Here I am again, in my apartment kitchen thinking on what to cook for dinner. My boyfriend will be here soon, and I have to come up with something delicious. Yet, I am also thinking about Egypt; actually, how not to think about it when you are looking outside of the window at your place, and all you see is grey, not to mention that it is very cold and the snow has vanished. I wish I was diving in the Red Sea right now, and it is one of the best places to do it. 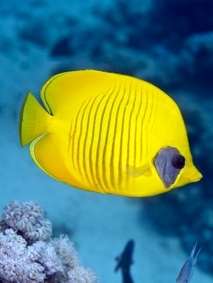 For some time ago the Red Sea has become the ultimate goal of every diver, due to its warm water and teeming with life. It’s more than 400 species of coral, its huge number of endemic species and the regeneration of their funds together to make this historic wreck a sea area in which all want to dive at least once in life. And I did it, for the very first time, in a very nice spot of our Planet. The Red Sea, lies south for the Sinai Peninsula, surrounding the Gulf of Suez and the Gulf of Aqaba. It is surrounded by countries such as Israel, Jordan, Saudi Arabia, Yemen, Egypt, Sudan and Eritrea. It opens to the Mediterranean through Suez Canal, and the ocean to the south across the Gulf of Aden. This unrivaled diving destination was discovered in 1950 by Hans Hass when immersed in a known wreck off the coast of Sudan. Since then it has established itself as a favored destination for divers from around the world. It was the first time I dived, and I must say that it is in the top of my list of overall experiences. The day wasn’t very clear, with some clouds and a lot of wind, for the first time in the whole trip. After signing lot of papers about my health situation and getting our equipment, we were more than ready. On our way to the ship we became friends with a really nice Dutch couple from Utrecht: Vera and Karts. The others diving companions were mostly Russians (who had little to no knowledge of English), a German and another Dutch couple. All of the instructors were Egyptians, except for one British man, who seemed to be the most experienced diver. He had moved to Egypt with his wife about a year ago because they did not stand the “stiffness” and coldness of the British culture – and weather – anymore. And with all the problems that Egypt has I guess that one can always submerge into the beauty and mystery behind the chaos. And so we did. Down there time is like unexistant. Everything goes by so slowly, like a romantic Bolero. It was beautiful to see all the colors, shapes, sizes, the light coming through the water. It was perfect and pure. I have never experienced something so gorgeous and delicate as the Red Sea´s coral Reef. It might sound as a cliché, but it is a whole world underneath, that is bigger than anything. Well, maybe I am being a little bit dramatic here, but that’s how I felt the moment I was swimming with the colorful Red Sea creatures. Unfortunatelly, I couldn’t take any pictures, because I lack the equipment for underwater fortography. Mario – my boyfriend – loves submarines, is the kind of love that you cannot understand but somehow you respect and and allow. It is like my love for animals, especially dogs; although dogs got nothing to do with submarines, but never mind. So he likes submarines very much, he has books about submarines, movies, pictures and miniatures – that I mistakenly call toys just to piss him off because I know that he doesn’t like them to be called “toys”. We didn’t know that it was possible to do a submarine trip in the Red Sea. And when Mario found out he was so cute and said: “we have to do it. It is a must!” And we did it. I am not as enthusiast about submarines as he is, but after we jumped inside the yellow submarine, I think otherwise. It was definitely a must and an awesome experience. I didn’t know that yellow submarines have that color so they won’t be attacked, and that’s the only color that can be clearly seen – without being mistaken – under the sea. I had no idea about those things; all I knew about submarines was the lyrics of the Beatles’ song “Yellow Submarine”, which I kept singing during the whole trip.